Sandy Hill is at the NAC! 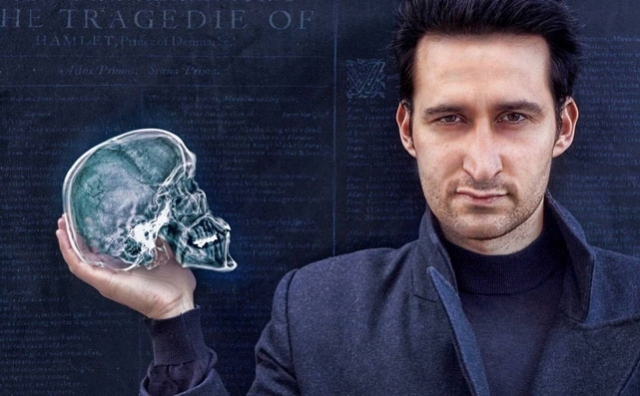 Or at least one of our denizens, award winning actor Raoul Bhaneja, is treading the boards in the acclaimed “Hamlet (Solo)“. Sharon O’Sullivan tells us, “You haven’t seen Hamlet until you’ve seen it performed by a Sandy Hill actor”. Raoul Bhaneja who grew up on Wilbrod St, and many may know as a founding member of “A Company of Fools” as well as for his extensive theatre, TV and Movie credentials, has transformed Shakespeare’s play creating a one-man tour de force in which he takes on all 17 roles. A success in New York and the UK “Hamlet (solo)” also won Montreal’s English Critic’s Circle Award for the Best Visiting Production.